Porsche said it would bring a “compact sports car” to the Los Angeles Auto Show and, as we predicted, it’s the 2014 Cayman. The Boxster’s hardtop sibling gets the roadster’s updated styling and engines, which should make it quiet entertaining on both road and track. The 2014 Cayman shares the Boxster’s more muscular lines, which give the car a more grown-up feel but still leave it recognizable to fans of the first generation model. The styling translates well to this coupe body, although the original Cayman’s slightly awkward rear end hasn’t changed much. Sitting behind the seats are two new engines. The base Cayman gets the same 2.7-liter boxer-six as the Boxster, but with 275 horsepower and 214 pound-feet of torque instead of the roadster’s 265 hp and 206 lb-ft. Upgrading to the Cayman S nets a 3.4-liter boxer six with 325 hp and 273 lb-ft, compared to the Boxster’s 315 hp and 266 lb-ft. A six-speed manual transmission is standard (no pun intended) on both models; Porsche’s seven-speed PDK dual-clutch automated manual transmission is optional. Porsche says a Cayman equipped with PDK and the Sport Chrono package (which adds more aggressive tuning for the throttle, suspension, and transmission, as well as launch control) will do 0 to 60 mph in 5.1 seconds. The Cayman S will do the deed in 4.4 seconds. 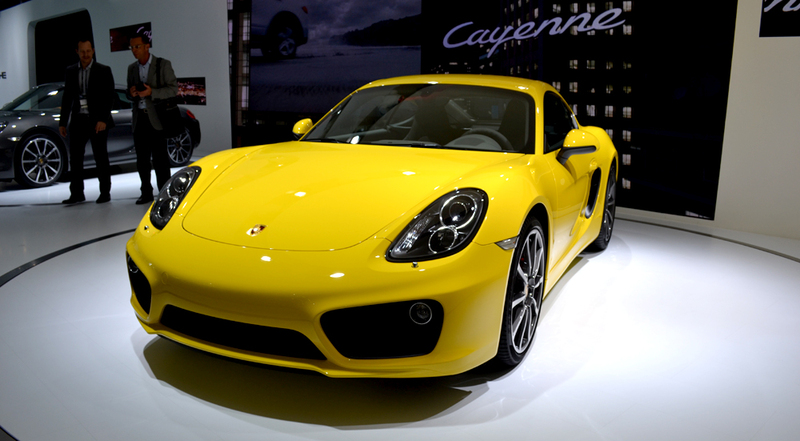 The Cayman S’ time not only matches the roofless Boxster S, but also the 3.4-liter, seven-speed manual 911 Carrera. The gap between Porsche’s sports car models is diminishing. This is partially due to the quick-shifting PDK, but also because the 2014 Cayman is probably lighter than the 911. Porsche did not quote a curb weight, but it did say that despite a 2.4-inch wheelbase stretch, the Cayman will weigh up to 60 pounds less than previous models, depending on equipment. Low mass should also help handling, which is what the Cayman is really about. Porsche will also deploy its usual arsenal of gadgets, including Porsche Active Suspension Management (PASM), active transmission mounts (another feature of the Sport Chrono package), and optional carbon ceramic brakes. Porsche also swapped out the old hydraulic power steering for the electromechanical setup first seen in the 911 and Boxster. The electric system got generally negative reviews in the 911, and generally positive reviews in the Boxster, so we’ll have to see how it turns out in the Cayman. 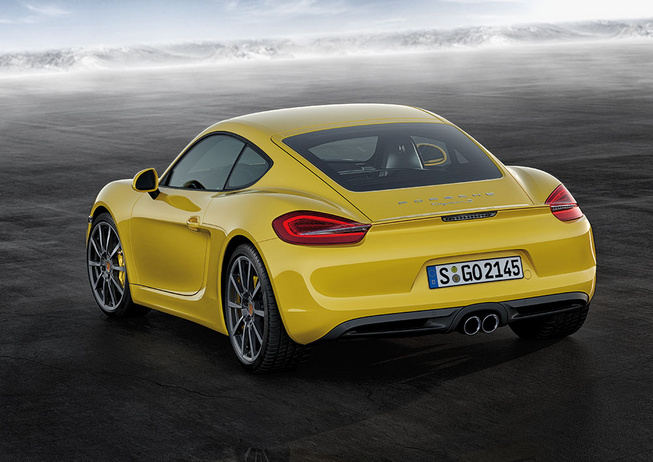 The new power steering also makes the Cayman more efficient, as does an engine start-stop system. Porsche says the PDK-equipped Cayman will return 32 mpg on the highway. The 2014 Cayman will hit showrooms in the spring of 2013. A base Cayman starts at $52,600, and the Cayman S will start at $63,800. Both models come with a $950 destination charge. With the redesigned Boxster receiving rave reviews, it’s not surprising that the hardtop Cayman looks like a formidable machine as well.